On August8, 2018, TIER REIT,Inc. (the “Company”) entered into sales agreements (the “August2018 Sales Agreements”) in connection with the establishment of an “at the market” equity offering program (the “2018 ATM Program”) with each of Jefferies LLC, BMO Capital Markets Corp., JMP Securities LLC, J.P. Morgan Securities LLC, Merrill Lynch, Pierce, Fenner& Smith Incorporated and Wells Fargo Securities, LLC to which the Company may offer and sell shares of its common stock having an aggregate offering price of up to $125,000,000. Under the August2018 Sales Agreements, the Company offered and sold shares of its common stock having an aggregate gross sales price of $37,988,373.10 through the date of this Current Report on Form8-K. As a result of such prior sales, shares of the Company’s common stock having an aggregate gross sales price of $87,011,626.90 (the “Shares”) remain unsold under the August2018 Sales Agreements as of the date of this Current Report on Form8-K.
On November5, 2018, the Company entered into a sales agreement (the “Baird Sales Agreement” and, together with the August2018 Sales Agreements, as amended, the “Sales Agreements”) with Robert W. Baird& Co. Incorporated (“Baird” and, together with the sales agents that are party to the August2018 Sales Agreements, the “Sales Agents”) to which, collectively with the August2018 Sales Agreements, the Company may offer and sell the Shares remaining unsold under the 2018 ATM Program. Contemporaneously with its entry into the Baird Sales Agreement, the Company amended the August2018 Sales Agreements to recognize Baird as an additional sales agent and to make certain other administrative changes (collectively, the “Amendments”). The Baird Sales Agreement is substantially the same as the August2018 Sales Agreements, as amended. to the Sales Agreements, the Company may issue and sell the Shares from time to time through the Sales Agents, as the Company’s agents for the offer and sale of the Shares. Sales of Shares, if any, may be made in negotiated transactions, which may include block trades, or transactions that are deemed to be “at the market” offerings as defined in Rule415 of the Securities Act of 1933, as amended, including sales made directly on the New York Stock Exchange or any other existing trading market for the Company’s shares of common stock. The Company will pay each of the Sales Agents a commission, which in each case will not be more than 2.0% of the gross sales price of Shares sold through it as the Company’s agent under the applicable Sales Agreement. The Company has no obligation to sell any of the Shares. Actual sales will depend on a variety of factors to be determined by the Company from time to time, including, among others, market conditions, the trading price of the Company’s common stock, determinations by the Company of the appropriate sources of funding for the Company and potential uses of funding available to the Company. The Company intends to use the net proceeds from the offering of the Shares, if any, for general corporate purposes, which may include future acquisitions, development and repayment of indebtedness, including borrowings under the Company’s credit facility. 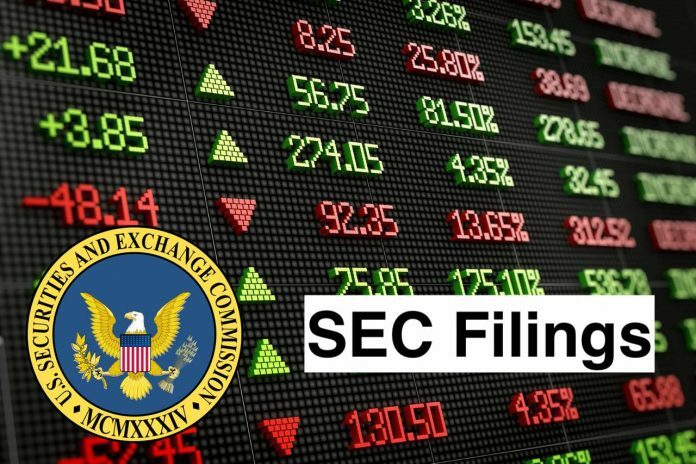 The Company filed a prospectus supplement, dated November5, 2018, with the Securities and Exchange Commission in connection with the offer and sale of the Shares, which supersedes and replaces the prospectus supplement filed with the Securities and Exchange Commission on August8, 2018. The Shares will be issued to the November5, 2018 prospectus supplement and the Company’s registration statement on FormS-3 (File No.333-213285) filed with the SEC on August24, 2016. The foregoing description of the Baird Sales Agreement and the Amendments is qualified in its entirety by reference to the Baird Sales Agreement filed as Exhibit1.1 and the form of Amendment filed as Exhibit1.2 to this Current Report on Form8-K and incorporated herein by reference.